What is My Life’s Intention? I often ask myself and the universe, “What is my purpose?” Many times I would feel a void when asking that. Now, I feel driven to fulfill what I know I currently am meant to do; live with intention. To be a light in this world that so sorely needs it. Being mindful enough that I live from a place of love and not fear. But what does that look like? I sat with that for a long time trying to see what shape the universe would have me make that. My real ah-ha moment was when I thought, “Why is my husband so impatient? Why can’t he hear me?” Well, when I wasn’t hearing and honoring him, how could I have expected anything in return that I needed? I wasn’t serving his needs to be fully engaged with me. For my presence. For my compassion and empathy. But then I thought, “How can I give that when I have no idea how to be that for my self? When I feel shame and like I’m never enough?” Seems pretty sad when we all know deep down inside we truly are perfectly imperfect. That the universe has our back, even when we turn ours to it. That’s grace that can transcend all pain and fear. It’s what helped me to begin my journey to something I had only wished I could do and be. It’s easy to say you want to be a light but executing that in a mindful manner that is of service to others felt daunting. I began doing meditations that I found on Gabrielle Bernstein’s Facebook page Gabby Bernstein Meditations. Her Light Worker Meditation shifted everything for me. 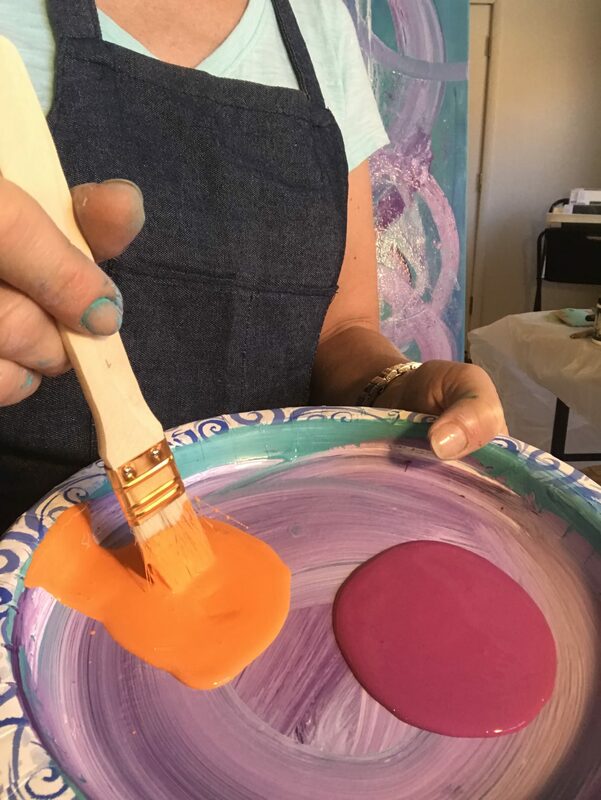 I began to see a way for my artwork and love of my mindfulness practice to merge into an experience I could share with others; to create a multifaceted workshop! Allowing in guidance and space for growth to really set free ideas and shaping what I knew would bring others that same growth. Dreams began to come alive. Each night was a new vision that took shape within a few days. I called on those I knew could help me make this workshop a reality. Joy Dennis, my friend, life coach and amazing creative mind was the first I spoke with about how to turn this idea into a reality. My colorful dreams now had a real and defined purpose. 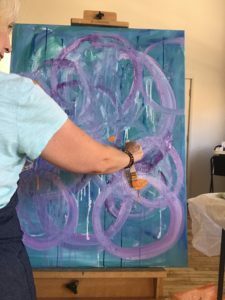 I knew I needed intuitive painting to coincide with other mindful practices, especially self-care. Check out my recent blog, “Happy Summer!” to read more about how my intentions have been coming into being. A sat down with the three ladies that will be my fellow instructors, Joy Dennis, Michelle Mottshaw and Candace Piccirilli to see how we could make this a workshop of real intention. One that is based in light and love. By morning’s end, we had a winner! Each of us really enhance one another’s gifts, which in turn will do the same for our participants. Courage, Creation & Connection Workshop is a combination of intuitive painting, acrylic and mixed media techniques (me), intuitive guidance, mini life coaching, Ayurveda practices, and oracle card readings (Joy), chair massage, acupressure & reflexology (Michelle) and yoga, meditation, mindful eating & breathing practices (Candace). 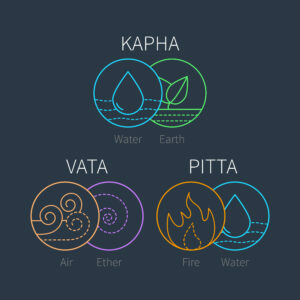 This workshop is power packed and gives you various ways to set that life intention! My vision for Courage, Creation & Connection Workshop is for the participants to set an intention or seed of positive change that will be nurtured as we begin to go into our winter season. This time of year asks of us to slow down and begin to find ways that we can give ourselves a loving kindness practice of “just being.” The practices you will begin to hone on that day will allow you to become a light. Be who you are meant to be. We will grow this practice each season and watch one another go forth a model for others how to live from a place of love. I can’t wait to see not only this workshop grow and serve others but to watch our participants develop their lives into ones that fully honor their spirit and bring forth change in the world that brings light and love to the forefront. 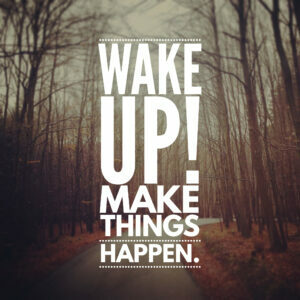 What is your daily intention for your life? You can help find that through this workshop. We wish that for you! Begin your beautiful transformation. Register Today for Our CCC Workshop! I had the opportunity to take Lisa’s workshop and loved every bit of the experience . Thank you so much, Jeannine! I was so grateful to have you be a part of our workshop. Your insight and input was helpful for all of us and certainly added to the experience so beautifully. Hope you can come back to our next one on February 24th!